'Pioneer' is an overused word, but Rudall Hayward’s claim to the title is strong. He was directing and shooting feature films in New Zealand in the 1920s, an age when movies were almost inevitably made by people in, or visiting from, other lands. A half century later his final movie To Love a Māori (1972), made in partnership with second wife Ramai, became the first colour feature directed by New Zealanders on home soil. Hayward was an ambitious, prolific and publicity-savvy filmmaker. On top of short comedies, educational films and newsreels, his long career encompasses seven features. Four of his movies were completed before the arrival of talkies, more than any silent director working in New Zealand. 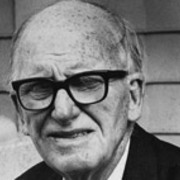 Many of the films explore historical conflicts between Māori and Pākehā; Writers Sam Edwards and Stuart Murray have argued that the features are Hayward’s major achievements, and that in them he “visualized and examined many of the myths that underpin New Zealand society and history”. Author Deborah Shepard argues that these early films display “a sensitivity and political awareness of Māori history” well beyond his Pākehā contemporaries. Hayward was born in Wolverhampton England in 1900, to a family with a long history as touring performers and entrepreneurs. He grew up amongst musicians and entertainers. At four Rudall arrived in New Zealand, and the family began three years touring Australasia with a variety show which included early film screenings. In 1909 his father Rudall and uncle bought Auckland’s Royal Albert Hall, and turned it into a cinema. By 1912 Hayward’s Picture Enterprises ran at least 14 movie theatres across New Zealand; Rudall junior began learning the projectionist’s ropes aged nine. He went on to spend two years studying electricity at Waihi’s School of Mines, then began working in films — seemingly to the chagrin of his family, who were aware that distributing movies made more financial sense than making them. Hayward worked for a visiting Australian director — "painting the legs of an Australian actress" to make her look Māori, for 1921 movie The Betrayer — and in Australia. Queen Street theatres showed no interest in Hayward’s first film, two-reel comedy The Bloke from Freeman’s Bay (1921). According to Hayward, his uncle Henry offered money to burn it in order to preserve the family name. Hayward persuaded an Aunt to run it in her Ponsonby cinema, and postered every space he could. After calling the police and complaining about the crowds, he helped create newspaper headlines, ensuring later screenings. At the age of 21 Hayward directed and produced his first feature, romantic melodrama My Lady of the Cave. He adapted the tale from a popular newspaper serial. Profits made from local screenings were lost "trying to get it released overseas". He married Hilda Moren the following year, and they installed a darkroom in her mother’s house. Hilda’s contributions were many and varied, includ editing, casting, and costumes. Between 1925 and 1928 Hayward directed, produced, and co-wrote (or adapted) another three features: the original silent version of Rewi’s Last Stand (1925) — which he said played for five weeks in Auckland — The Te Kooti Trail (1927), and The Bush Cinderella (1928). The Te Kooti Trail is based on incidents from the military campaign of legendary leader Te Kooti Arikirangi Te Turuki. Hayward used local Māori in his cast, and gave the starring role to elderly Tuhoe chief Te Pairi o te Rangi, who had carried rifles for Te Kooti as a boy. On the day planned for the film’s premiere, the Government arranged a private screening to get feedback from Māori politicians and Ringatu elders, after which the censor demanded the removal of two subtitles referring to Te Kooti’s "fake miracles". Some have argued that Hayward then used the incident to win publicity for the film, but it appears more likely that the fuss was created by Whakatane Films, the company that financed it. The Bush Cinderella was a romance staring 1927 Miss New Zealand Dale Austen; Hayward wrote in 1940 that the low budget helped make it his most successful film. As the depression set in, the Haywards began travelling around New Zealand towns, pumping out roughly two-dozen comedic shorts. Each film showcased some locals on screen, a chase scene, and included the name of the town in the title, to help win over local audiences. Mock-documentary Forgotten Silver pays tribute to these ‘community comedies’. The arrival of talkies in the late 20s threw New Zealand films into a coma. Hayward’s films and career changed dramatically, arguably for the worse. Faced with buying "extortionately" priced American sound equipment, Hayward and colleagues Jack Baxendale and Armitage Moren spent around two years developing their own. Hayward used the camera on early comedy Hamilton Talks (1934) and newsreels, including an interview with George Bernard Shaw which Hayward said was shown internationally. He also shot — and likely directed — moralising depression-era tale On the Friendly Road (1936) remembered most for scenes of radio legend Reverend Colin Scrimgeour (aka Uncle Scrim). Hayward followed it with his second, sound version of Rewi’s Last Stand, injecting romance into a battle from the New Zealand Wars which Māori periodical Te Iwi has noted was in reality "a bloody, almost genocidal confrontation". Hayward filmed on a painstakingly recreated replica of Orakau Pa in the Waikato. He later took the only negative with him to England, where it was recut into substantially shorter form as The Last Stand. This version was later screened for many years to Kiwi school children. Rewi also introduced Hayward to his future wife and creative partner, photographer Ramai Te Miha (aka Patricia Miller), who played the romantic lead. They married in 1943. Rudall worked at Government filmmakers the National Film Unit, then in 1946 the pair departed for Britain, where Rudall’s mobile sound camera helped them win work. They made newsreels and documentaries; Rudall directed 34-minute ship tale The Goodwin Sands. By 1952 the couple were back in New Zealand, where a documentary on Opo the dolphin would sell to 26 countries. There were also filmmaking excursions to Australia, Albania, and an invitation from the Chinese Government to make a series of films on China, the first to be shot in English there since Communist rule began in 1949. The two also collaborated on a film about race relations, The World Is Turning Toward The Coloured People, and through the 60s made a series of educational films seen by many Kiwi school children. As Rudall aged, Ramai's share of the filmmaking burden increased. She later said that "I used to cart the equipment, I mean I was 17 years younger than Rudall, and toward the end I also at times had to carry him." In press interviews Rudall's often continued to give the impression that he worked alone. In the 70s, the Hayward’s filmmaking exploits had finally begun to win renewed attention. The NZBC screened Rewi’s Last Stand, and Rudall was given a special Feltex Award, and later an MBE. Visiting American scholar Robert Sklar wrote an admiring article about him in Landfall, arguing Hayward’s screen picture career was one of the longest in the world. The couple worked on two films for television and in 1972 completed their seventh and final feature To Love a Māori, an ambitious yet under-resourced tale of young Māori moving into the city. It was shot in colour on 16mm, at a point when colour was still a novelty in local features. Rudall Hayward died of pneumonia in Dunedin on 29 May 1974, while on a promotional tour for the film. Over ensuing years Ramai's part in the couple's filmmaking partnership would win more attention, thanks primarily to the work of writer Deborah Shepard. Ramai finally passed away in July 2014. Ngā Taonga Sound & Vision have restored three of Rudall Hayward’s early features. He is also the subject of an extended chapter in book New Zealand Filmmakers, while his partnership with Ramai is detailed in Shepard's Between the Lines.